At last it’s well and truly over, at least for another year. Christmas and New Year is always a hectic and fairly misshapen time of year but as we’re well into February, it’s time for things to return to normal and, more importantly, time for some shiny new reviews. First up is the debut album Acolyte by electronic-indie band Delphic , a band recently voted into a BBC poll for the ‘Sound of 2010’ (who, it seems, have now branched into predicting the future in addition to producing ‘Hole In The Wall’), and do look set for big things. Having another electro-indie band with tight jeans and swept hair is always a risk in this saturated market but refreshingly is one that pays off and, what’s more, one that puts up an early contender for album of the year. First song Clarion Call opens the album in style and immediately shows us what Delphic are all about. By combining pulsing synths with flowing strings and underpinning this with thumping drums, it allows not only for a fresh and clean sound but also one that affords real space for frontman James Cook’s call-to-arms melody, which adds a real sense of a song and power to proceedings. And in similar fashion, 3rd single Doubt does contain all the elements that should make for unoriginal and frankly boring electro-indie music but in reality it simply doesn’t. There’s no doubt (pun not intended) that the synths are an important part of the band but they are never allowed to overtake the real focus of producing a good, catchy song. 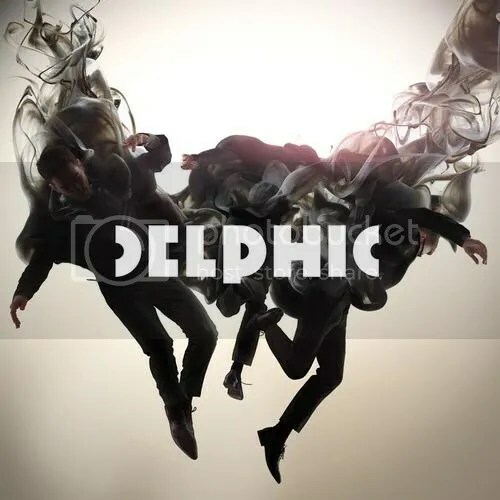 And rather than shouting a meaningless collection of words, it’s clear that Delphic posses a frontman capable of writing some brilliant pop melodies that when coupled with his engaging lyrics, sets them apart from the check-shirt indie crowd. Album tracks Remain and Submission follow this pattern along with 1st and 2nd singles Counterpoint and This Momentary, all embracing the use of electronic synths and loops whilst keeping the Rock stylings of the guitar, vocals and melody at the forefront. Counterpoint in particular is an obvious standout track, which despite its upbeat nature has real element of resignation about it. Cook sings “just tell me nothing’s wrong today” and even through the jumping drums and the shooting synths we can really believe him. If I was to have one complaint, it would be that for all it’s clever use of electronics and samplers Acolyte clocks in at over 50 minutes and that, for an album of 10 songs, is probably to long. Red Lights and the instrumental title track both fall into this trap with the latter in particular seeming to drag and become unnecessary on more than one occasion. But this is a small blot on what is an excellent album. Acolyte combines all the twists and turns from synths without ever letting it get in the way of the meat and drink of the song. An indie band for those who aren’t so interested in lens-less glasses and one for who big things are certainly going to be happening. Pulsing, flowing and above all brilliant so believe the hype and get the album.